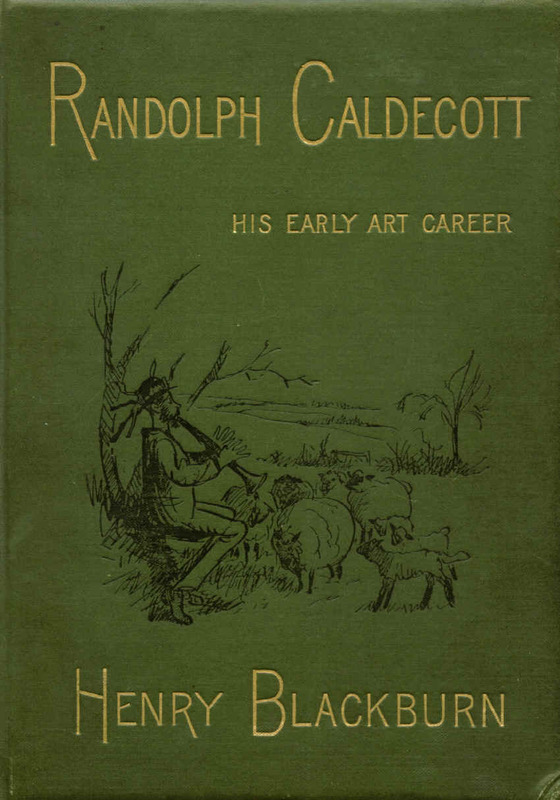 Find out more about Randolph Caldecott via our "Links" page or at places on our "Where" page. This page mentions useful books about him: some of them contain information about many other people too. First published by Sampson, Low, Marston, Searle & Rivington, of Crown Buildings, 188 Fleet Street, London, Sept 1886. Henry Blackburn was a personal friend of Randolph's, and their travels together had resulted in two travel books. This biography, which the author describes as an "affectionate remembrance", was produced within 6 months of Randolph's untimely death. It covers his life and work until 1880, with only a fleeting mention of a few works beyond that date. Did the author intend to write a sequel, or did he feel that Randolph's best work was done in those early years? Hard covers, 216 pages, 172 illustrations. 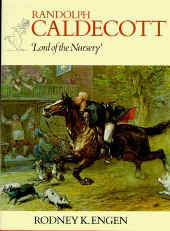 The picture here shows a First Edition. For info about other editions, click here. Edited by Michael Hutchins (published by Frederick Warne & Co Ltd., 1976). ISBN 0-7232-1981 8 Hard covers, 284 + x pages. 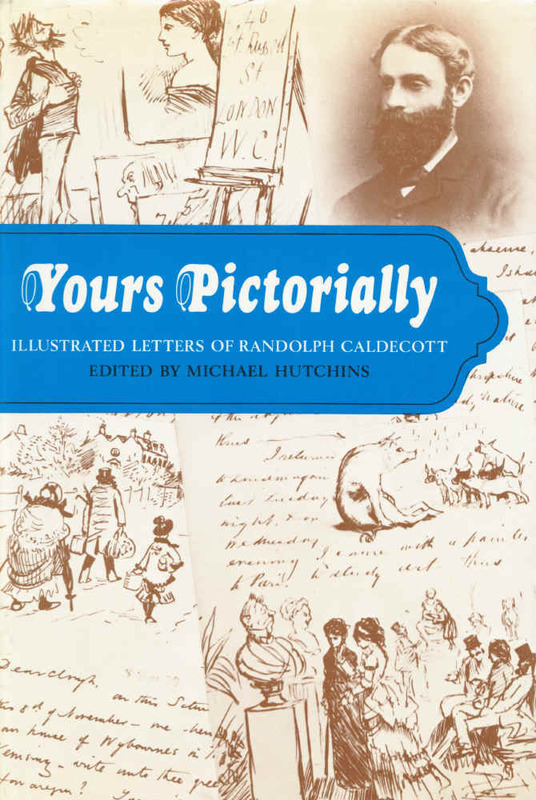 Randolph was a prolific sketcher, and his letters were liberally sprinkled with sketches. This fascinating book reproduces correspondence with numerous friends, relatives and business associates, and includes many of the sketches which accompanied them. by Rodney K Engen (published by Oresko Books Ltd., 1976; reprinted by Bloomsbury Books, London, 1988). ISBN 1-870630-45-9 A4 approx, hard covers, 104 pages. Full of examples of his work. Includes a very helpful and full Bibliography - although one of the first books he illustrated, "Granny's Story Box" (1873) is not listed. 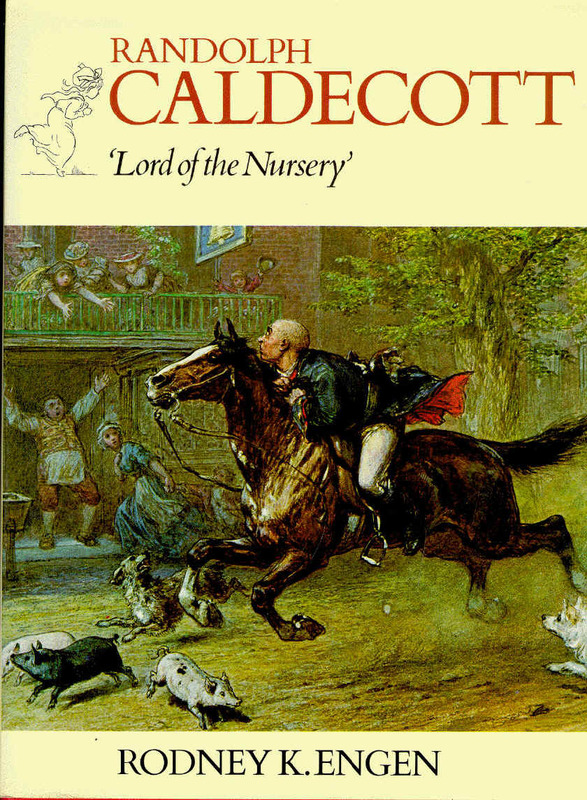 The picture of the cover, shown here, is a detail from Randolph Caldecott's oil painting "John Gilpin's Ride". This is now in the Whitworth Art Gallery, Manchester. It style is quite different from the pictures used in his Picture Book. by Dr. Brian Alderson (b. 1930). Published by Cambridge University Press, 1986. 112 pages, over 130 illustrations, h. 284 mm x w. 237 mm. ISBNs 0-521-33179-X Hardback & 0-521-33760-7 Paperback. Published to accompany an exhibition held at the British Library from October 1986 to January 1987. George Fowler, 8 Stone Rings Lane, Harrogate, N Yorks., HG2 9HZ. by Elizabeth Billington (published by Frederick Warne & Co Ltd, New York & London, 1978). ISBN 0-7232-6139-3 9 x 10.5 inches (landscape format), hard covers, 288 pages. Useful text, and lots of pictures, including some complete works by Randolph (words as well as his pictures). Regrettably the colour in some photos is poor - and the picture of Randolph's London home is both a negative image and reversed! 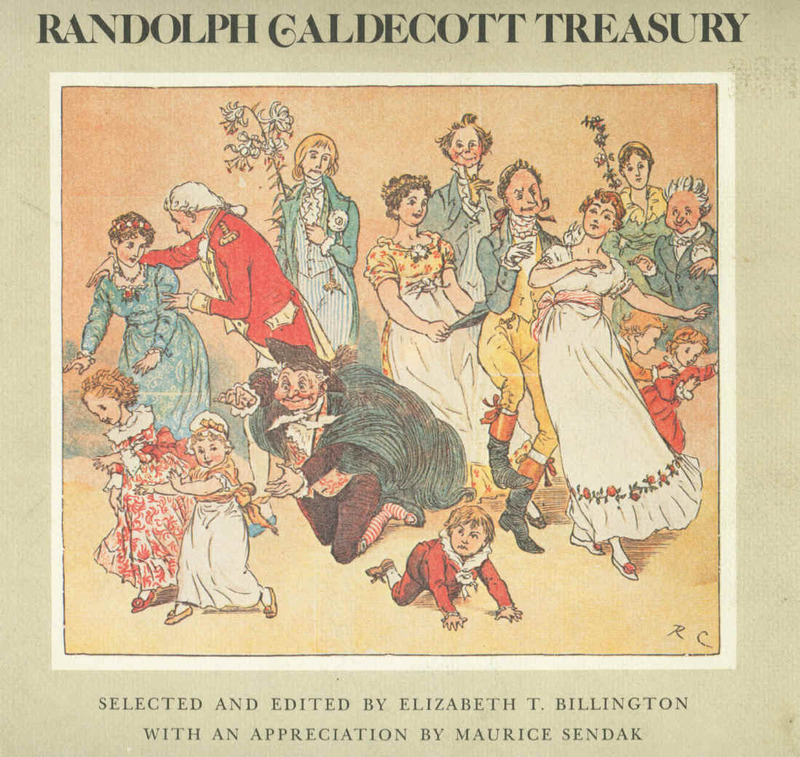 "Young readers will enjoy learning about Randolph Caldecott and the award that honors his name. This was written especially for children in grades 2-7, and it is illustrated in full color with Caldecott's own drawings." Our reviewer enjoyed this book and appreciated the examples of Randolph's pictures which are included. There are some minor spelling inaccuracies of English place names, and readers would think that Randolph had only one brother and few sisters, whereas his father re-married and there were 13 siblings in all! 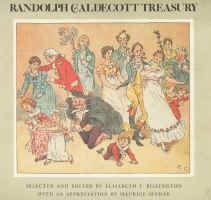 Note that the front cover (shown here) is not by Randolph. Now out of print, although it was briefly available again (Feb 2005), but already sold out, from www.psbooks.co.uk for GB£4.99 + £1.80 P&P within UK. Published Sept 2004 by Avisson Press, Inc., P O Box 38816, Greensboro, North Carolina, U S A. A book for American schools, about children's books in the USA which have won the Caldecott Medal. Publ. by John Murray and Victoria & Albert Museum, London, 1988. This is interesting and very informative: recommended as a reference work on the subject. Publ. by Gramercy (part of Random House, USA), March 2003 (ISBN 0-51716-114-1). Price US$19.99. 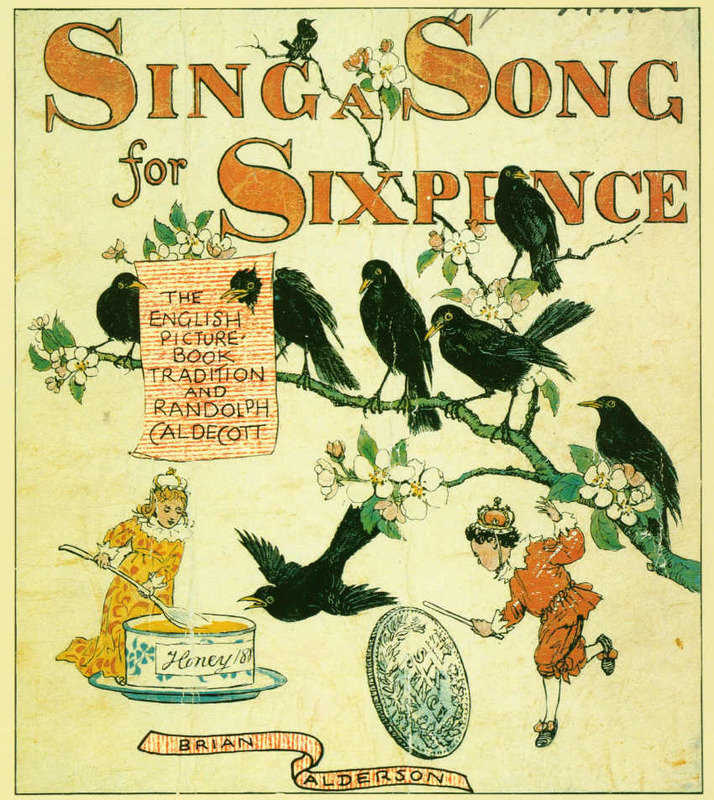 Children's Books in England, by F. J. Harvey Darton. 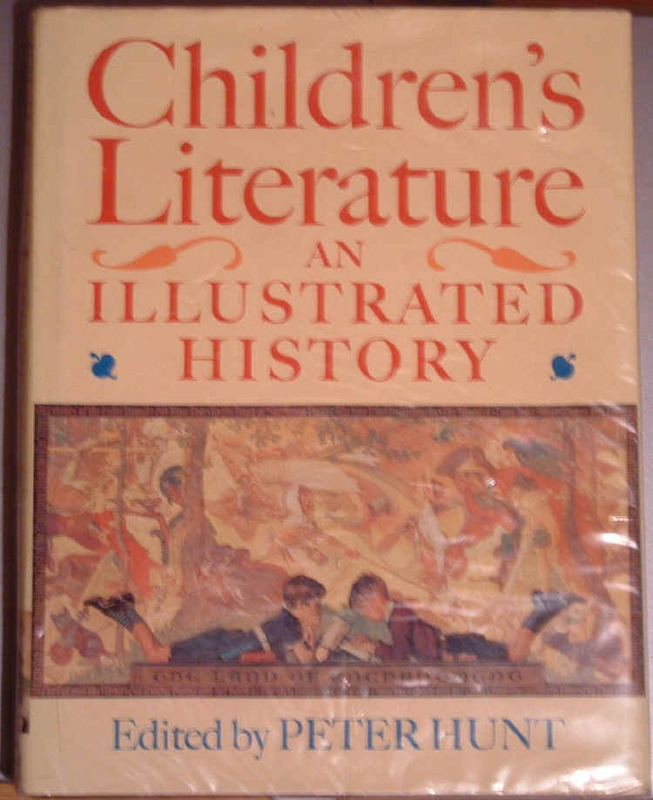 Recommended by Frederick Laws in his essay on Randolph Caldecott, publ. in The Saturday Book for 1956. 1st publ. 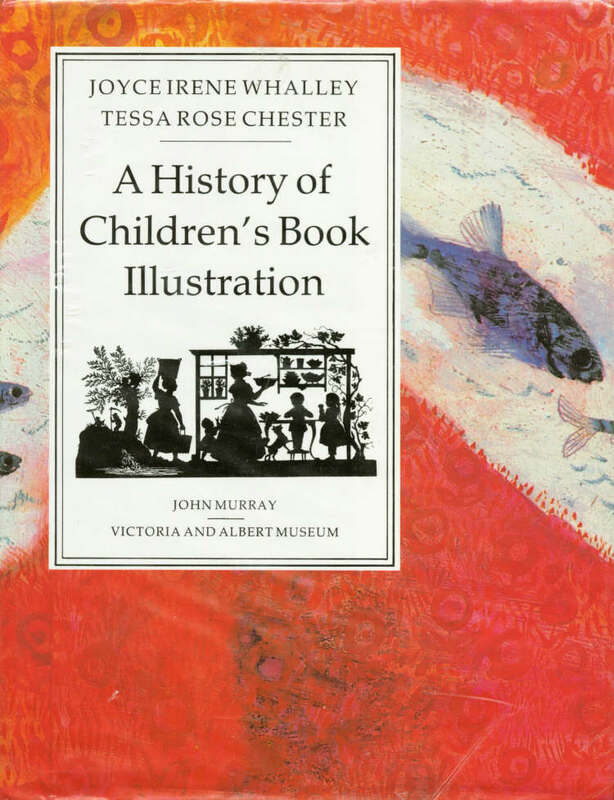 1906; new edition with intro by James Laver (V&A Museum), publ 1990 by Fitzhouse Books, GB£ 40. Refs to Randolph Caldecott on pp. 179-180, 220, 270-272, 279-282. 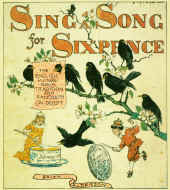 At one time in Britain, it was so dangerous to be found with some Nursery Rhymes that imprisonment for sedition or even treason was a distinct possibility. Oxford University Press, 1955, 238 pp. (ISBN 0-19869-112-2). If you can recommend other helpful books etc, please email us. See also our "Links" page for Research, Libraries, Genealogical info and more. This is a collection of learned essays, which in this reviewer's opinion lack cohesion and require (or assume) that the reader already knows a lot about the subject. 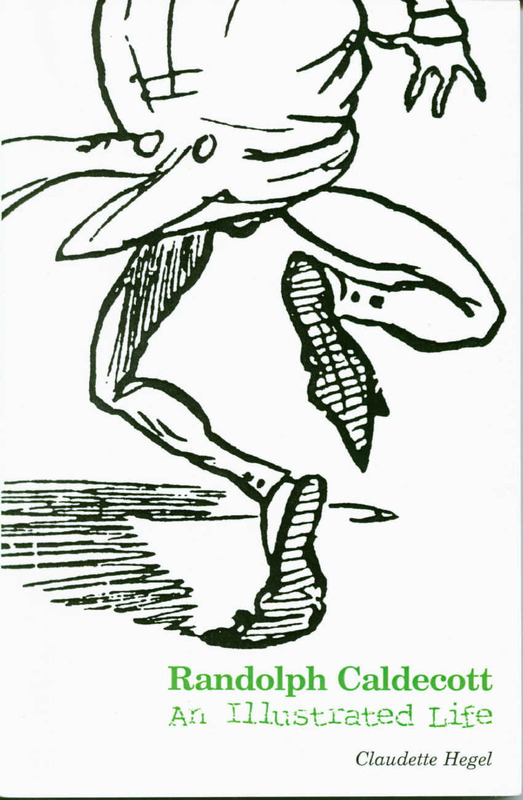 There is very little about the actual illustrators of the books. Not worth its high price of GB£22.50.